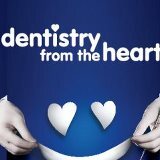 Wow…another great day at Montgomery Comprehensive Dental Center. My favorite days are those where I feel like I’ve truly made a difference in a patient’s life. I met 15 year old Abigail (name has been changed for privacy) not long ago. Her parents brought her in to talk about getting her teeth straightened. After taking a look around her mouth I had a pretty good feeling that Abigail was probably experiencing some issues that she nor her parents had associated with having a bad bite. After questioning Abigail, I learned that she was suffering quite a bit. She reported that her jaw joint popped, clicked and became painful when eating. She also complained of headaches, clenching, grinding and facial pain. When asked about sleep, Abigail said that she really didn’t sleep well, woke feeling tired and found it difficult to focus during the day. I spoke with Abigail and her parents about the benefits of neuromuscular (NM) dentistry. I explained that by getting the teeth in the position where the head and neck muscles are most comfortable, it creates harmony, and thus alleviates symptoms. I did let Abigail and her parents know that correcting the bite with NM dentistry does take more time and dedication on Abigail’s end, but that it’s what I would want for my children. Her parents took a little time to think things over and in just a few days called and wanted to proceed with NM treatment, which included the fabrication of an oral appliance, called an orthotic, that Abigail would wear 24/7. Abigail came back into the office for CAT scans, impressions and a full work up to determine where her jaw and facial muscles were most at ease. About two weeks later Abigail arrived to pick up her orthotic. I instructed her to wear it at all times, even when eating and sleeping. Last week Abigail came in for the first of a series of adjustments. Before we even began she told me that her headaches and jaw pain was “100 percent better!” Just by looking at her I could tell that she had truly improved. Fast forward to today, just two weeks since leaving the office with her orthotic; Abigail said that she’s sleeping better, dreaming for the first time in years and feels rested during the day. If you’re suffering from issues like this please reach out to a NM dentist. Just a few visits could change your life! The struggle is real. Work, kids, extra activities, meals, doctors appointments - it's not easy being Mom and Dad. But what if you could do two things at once? We serve as a family one-stop shop for dentistry! 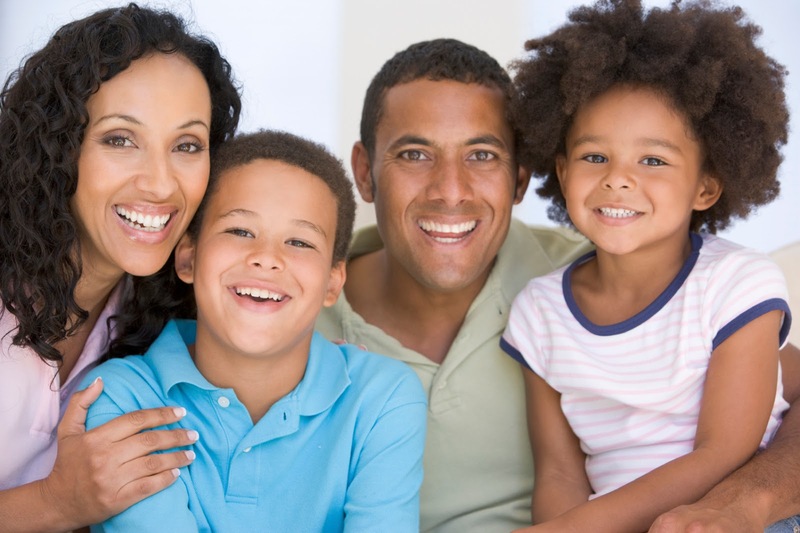 Get your teeth cleaned while the kids get orthodontic check-ups. Treat yourself to whitening while the kids get their fillings. Have e-mails to respond to? Take advantage of our complimentary Wi-Fi. Let our team help you make the best use of your valued time and free you up to do the important stuff. For more information and to schedule a reservation, please give us a call at 936-585-4353. The 11th Annual event will treat those, residing in Montgomery County, who truly need, but cannot afford dentistry. The procedures done free of charge include extractions, simple fillings and cleanings. In 2018 CCDC donated more than $39,000 worth of free dentistry to about 70 underprivileged residents of Montgomery County. They hope to see an increase in numbers this year. To date, their event has donated more than $380,000 worth of free dental care to members of the community. The event will take place Saturday, April 27, 2019, at the office of CCDC at 2210 North Frazier, Suite 120 in Conroe. Registration will begin at 7:30 a.m. Patients will be seen on a first come, first serve basis. Patients are asked to bring ID or other paperwork proving their residence in Montgomery County. Staff and volunteers will treat as many patients as possible by 5 p.m.
Here’s to Overall Health in 2019! Oral Cancer: At a minimum, oral cancer checks are done annually at your hygiene visits. I’ve surrounded myself with wonderful specialists in the event that anything even remotely suspicious is discovered. One American is diagnosed with oral cancer every hour. Early detection improves a patient’s chances, but the long term prognosis is not good. Infections: Infections in the mouth come in two ways; infected teeth or infected gums. 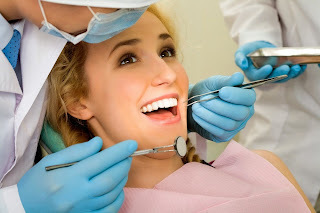 Infected teeth are painful and easily recognizable by the patient. They are also one of the biggest reasons a patient visits us for the first time. Infected gums are typically not painful, until the patient is nearing the point of losing a tooth (or teeth) due to bone loss. Gums that are swollen, tender, red or bleed when brushing or flossing are an indication of infection present. What both types of oral infections have in common is that they travel through the body and create other issues. These systemic links include heart disease, stroke, premature/low birth weight babies, as well as additional complications for those diagnosed with diabetes. If you’ve been diagnosed (or suspect) that you may have an oral infection – do NOT delay! Nighttime Airway Issues: Typically known as obstructive sleep apnea (OSA), untreated, it creates an increased risk for hypertension, atrial fibrillation, heart attack, stroke, obesity, day time sleepiness and depression, to name a few. Childhood symptoms include ADD, ADHD, bed wetting, daytime sleepiness (falling asleep in class, need for naps), etc. The medical community believes that there are between 30-40 million undiagnosed sleep apneics. Continuous Positive Airway Pressure (CPAP) is the treatment of choice, but studies show that 60-70% of patients abandon (or cannot tolerate) CPAP use. Oral appliances, like the ones created in our dental practice, are very effective in treating mild to moderate sleep apnea. I have actually seen success in treating several patients diagnosed with severe OSA. If you suspect you or a loved one may be suffering from OSA, we will gladly do a FREE at-home sleep study! If you’ve been diagnosed, but cannot tolerate or use your CPAP, we’d love to discuss other treatment options. Let us help you and yours make 2019 a year full of health! We Want to Stand Out - For YOU! In today's hustle and bustle, always on-the-go lifestyle, it's no surprise that people are always looking to get things done more quickly. As corporate dental practices continue to pop up in the most convenient of places, it's important that our patients (and potential patients!) understand just what sets us apart. "I scheduled an appointment for a cleaning, but waited almost two hours before I was even seated! The worst part? The same thing happened to my husband a few days later." "Every visit there's a new doctor. I feel like treatment is always changing and I don't eve know the person digging around in my mouth." "When scheduling I've had to call repeatedly and leave messages. When they do answer or call back, their hours are so limited that it's difficult to schedule. I don't know what would happen in a true dental emergency." "The staff rarely make me feel like I'm more than a number. I imagine their turnover is high because it always seems like there's someone new and not quite trained." "I just had a crown done a few months ago and it's already giving me issues. I was told there's nothing that they can do and the crown will need to be redone - at full price!" "I visited Dr. Gardner's office after getting a treatment plan from a corporate office. Dr. Gardner's fees were lower!" We value our patients' time. We do not double book and rarely do patients even find themselves with time to take a seat in our reception area. Dr. Gardner has proudly served Montgomery County for 27 years. He and Dr. Romeo consider their patients extended family and enjoy hearing and learning about their personal lives. Continuity of treatment is incredibly important to both of them. All patients are given the doctors' personal cell phone numbers in the event of any emergency. In addition, our phones are answered 24/7 by a friendly team member, not an answering service. Call by 12 pm and you'll be seen for a dental emergency the same day - guaranteed! We also proudly offer early morning and late afternoon appointments to accommodate even the most complicated of schedules. We pride ourselves on our customer service. It is the goal of each team member to over-deliver and make sure that our patients have an exceptional experience in our office. We don't take hiring lightly - all of our team members are cross-trained to better serve you! Our doctors stand behind their work. So much so that as long as patients maintain their regular hygiene visits, work is Waran'teeth'ed a minimum of 5 years!